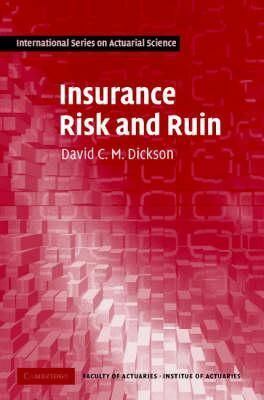 Based on the author's experience of teaching final-year actuarial students in Britain and Australia, and suitable for a first course in insurance risk theory, this book focuses on the two major areas of risk theory - aggregate claims distributions and ruin theory. For aggregate claims distributions, detailed descriptions are given of recursive techniques that can be used in the individual and collective risk models. For the collective model, different classes of counting distribution are discussed, and recursion schemes for probability functions and moments presented. For the individual model, the three most commonly applied techniques are discussed and illustrated. Care has been taken to make the book accessible to readers who have a solid understanding of the basic tools of probability theory. Numerous worked examples are included in the text and each chapter concludes with exercises, which have answers in the book and full solutions available for instructors from www.cambridge.org/9780521846400.